Stop wasting time digging through price lists! Trying to find the correct price or availability for your patient's lenses can be a real chore. IcareLabs knows less time trying to find what you need and what it costs, means more time you can focus on your patients. We offer one of the widest selections of lenses and anti-reflective coatings. So you'll be able to best meet each of your patient's specific needs. You don't always have time to sift through our 17-page price list and we know this. 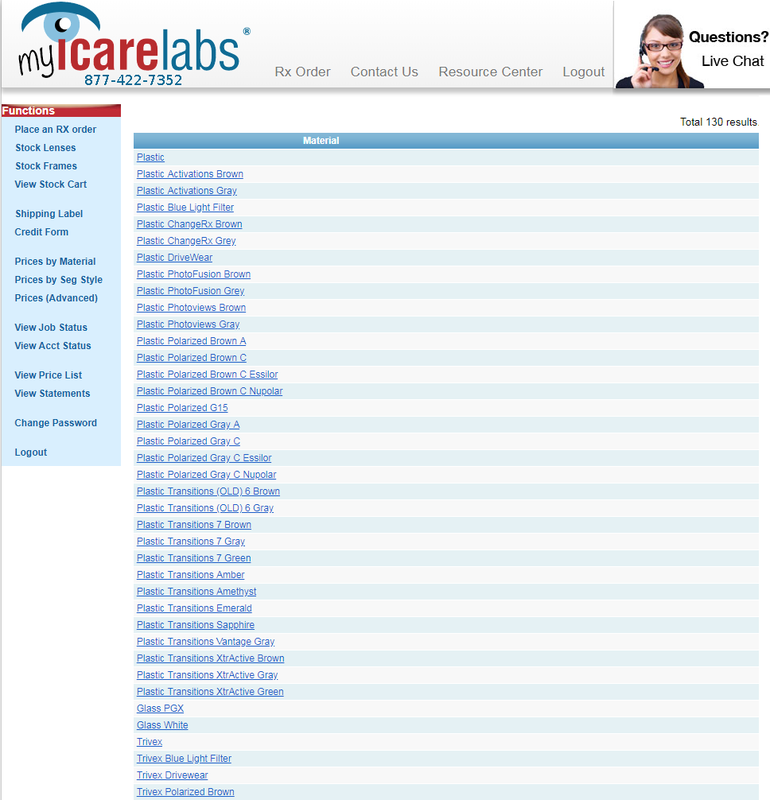 The MyIcareLabs.com portal makes this easier than you ever thought possible! You'll be able to find what you need when you need it so you can get right back to helping recreate perfect vision. By selecting "Prices by Material" you'll be able to search our inventory for every material we offer. CR-39, polycarbonate, high index, and even glass options are all at your fingertips. You'll also be able to see options such as Transitions 7 or the new XTRActive Style Mirrors. By selecting "Prices by Seg Style" in the functions box, you'll be able to find all lens styles in one easy to find place. From single vision to bifocals and trifocals. 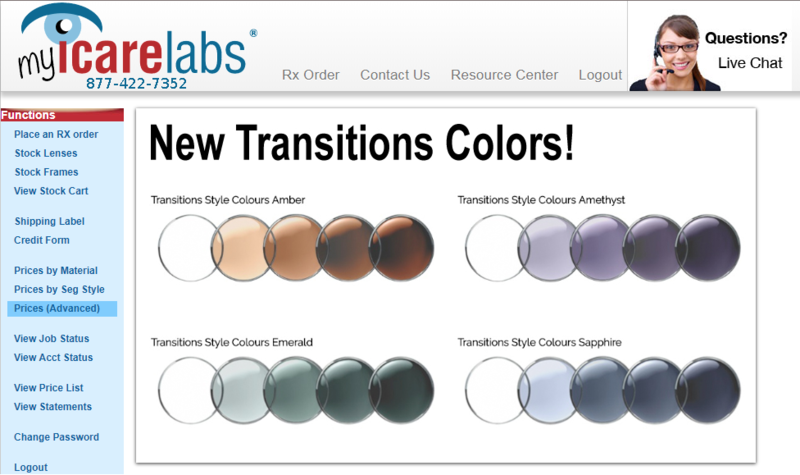 You'll also find all progressive lens offerings here too. New products are released all the time. Our pricing and availability will always reflect this. You'll find lenses like the Shamir Autograph Intelligence when they become available. You can always see material and seg style availability on our Rx order screen too. One of the best features is "Prices Advanced" which you can access from the functions box to the left. You'll be able to search by lens material, seg style, and combine with price point (all prices listed are for an uncut pair). You find what price and materials a specific lens like the Varilux Comfort is available in. Then you can narrow it down further by price. Even with these search features, sometimes you want a full price list handy. You can select "View Price List" in the functions box to view a PDF of our full price list to save or print out as needed. Our prices rarely change, but we are constantly adding new options. 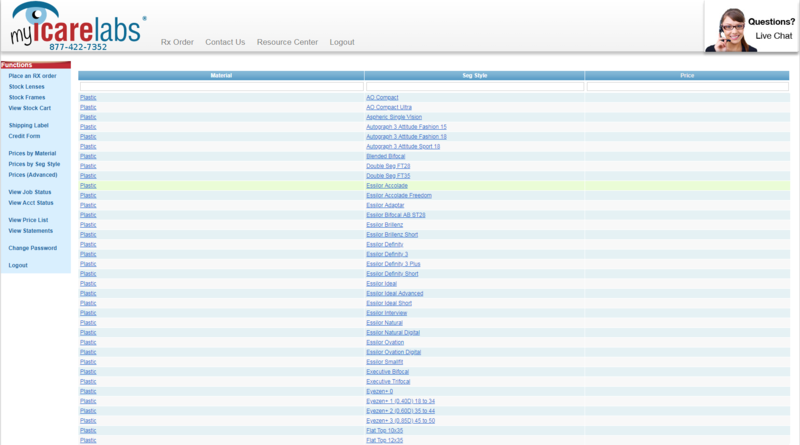 To verify your price list is current, check the bottom left-hand corner of any page to see the last updated date. If you see a more recent date when looking at the full price list on our website you'll know we've added new options. 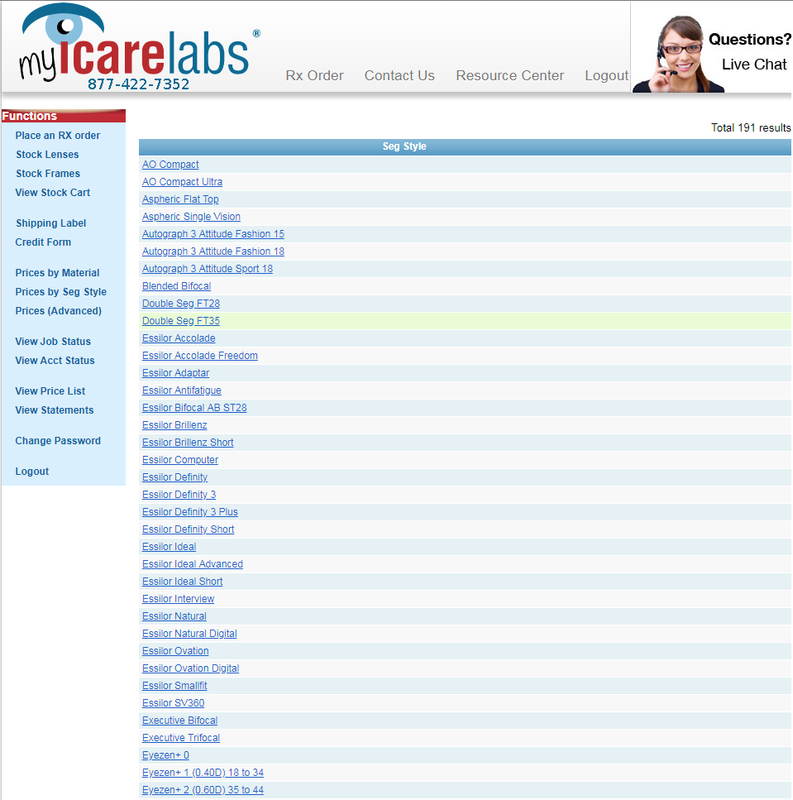 CLICK HERE for our complete MyIcareLabs.com overview.